Random images from Insula V 1. 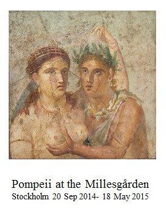 The Swedish Pompeii Project started in 2000 as a fieldwork project initiated at the Swedish Institute in Rome. The aim was to record and analyse an entire Pompeian city-block, Insula V 1. In the recording process large quantities of data and photographs have been amassed and this is the forum we have chosen to share the collected information with those interested in the details of Pompeian houses. The presentation of each room with all its features constitutes a major part of this research platform, under the heading Documentation of Insula V 1. Some excavation took place in spots critical for the understanding of earlier phases of the city. 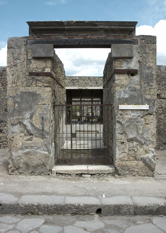 In the course of such investigations, prehistoric (Early Bronze Age/Palma Campania) layers, including a volcanic ash layer, were encountered for the first time under Pompeii. Created to encompass all major disciplines promoted by the Swedish Institute in Rome, our research also targets a wider contextualisation of the Pompeian evidence. Pompeii Revived is the title used to shelter studies in legacy, whereas the City Gate Seminar has the ambition to discuss the validity of historical analogies as guidance for interpretation of evidence concerning everyday life in the past in a broad sense. Since autumn 2010 the project and its research is directed from the Department of Archaeology and Ancient History at Lund University. Simultaneously a new branch of advanced digital archaeology, involving 3D reconstructions and documentation methods was added to the project agenda. The insula was scanned during the field campaigns in 2011 and 2012 in collaboration with the ISTI (Istituto di Scienza e Tecnologie dell’Informazione "A. Faedo") in Pisa and the Humanities Lab at Lund University. The actual work in progress, carried out by the ISTI in Pisa, consists of finding a way to navigate the models easily, "naturally", and in such a way that it will be possible to freeze the image of a wall or other detail under study and link this image back to the documentation offered by this web page. The results will be presented shortly and our first 3D models are already available in open access. These are linked to the pages describing atrium and peristyle of the Casa del Torello, V 1,7. Anne-Marie Leander Touati, director of the Swedish Pompeii Project and its web. Henrik Boman, editor, webmaster: structure, text and image. Mats Holmlund, web designer: database administrator and technical support. The construction of this page is funded by the National Bank of Sweden Tercentenary Foundation and the Swedish Research Council. Examine the 3D models of the Insula. 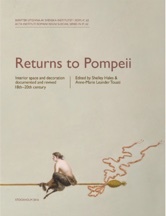 A new volume containing a series of case studies that trace the ways in which audiences across Europe have attempted to return to Pompeii by emulating its interior decorations. 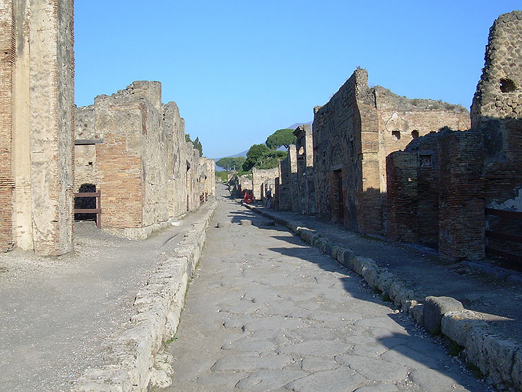 Click for a guided tour to the House of Caecilius Iucundus. The exhibiton is now closed. It was visited by 65.000. If you missed it, click on the image.